Alright, this month, I decided to try something new. Instead of working in the Adobe programs I am comfortable in, I thought to do something I’ve never done before: create a composition in Cinema 4d. I have to say, I think I learned quite a bit in this simple project. It just goes to show you that stepping outside your comfort zone will lead to extraordinary things. 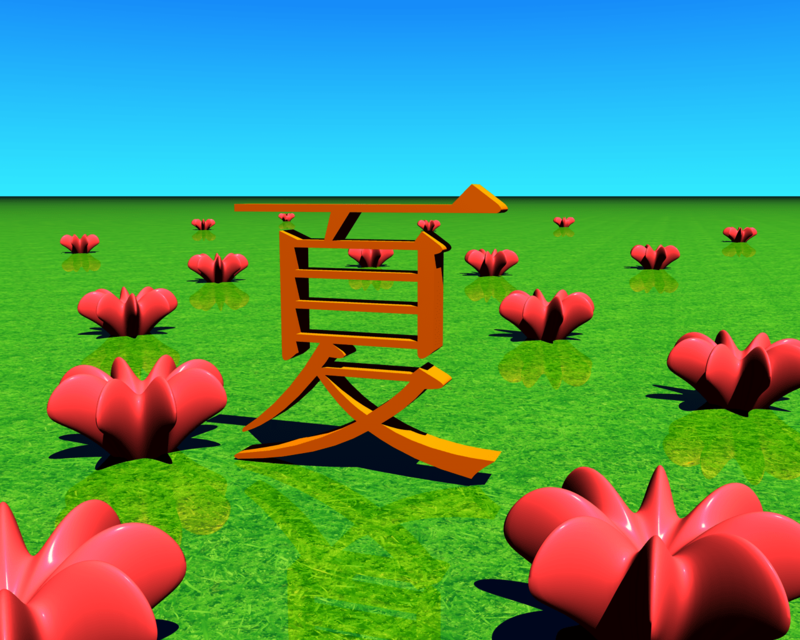 The project in this case was to use the kanji (Chinese character) for summer (natsu in Japanese) in a composition. My idea was to place the character in a field of flowers with summer-esque lighting. Because I have never done any compositions in Cinema 4d before, this project was both frustrating and fun. I can’t wait to see what I’ll do next. Alright, it’s been awhile since posting here. Anyway, here are a few effect c4ds for you to use.